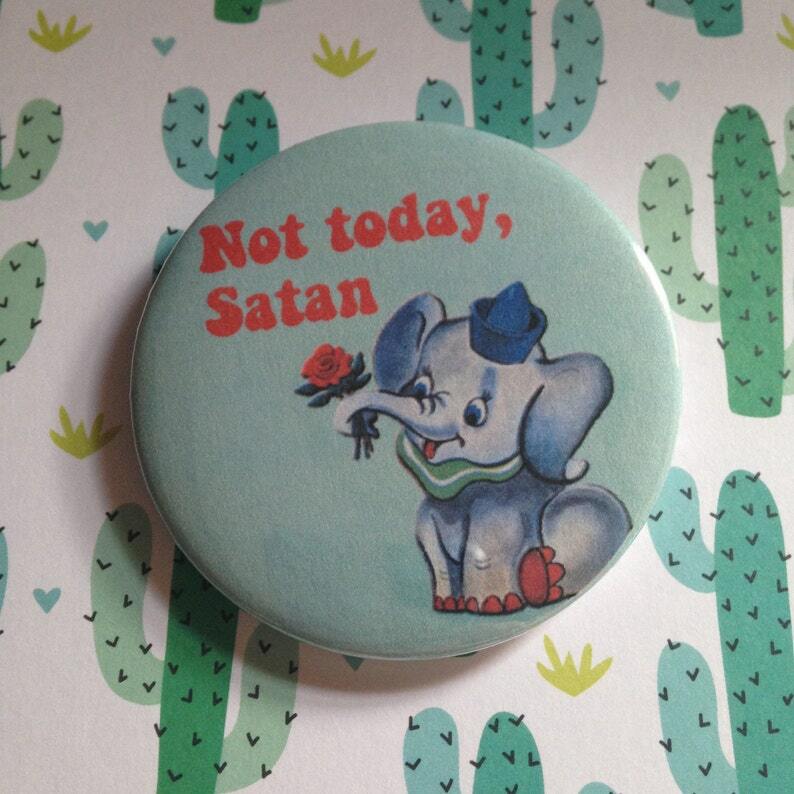 These badges use vintage images mashed up with lyrics, memes and slogans. Badge has metal front and plastic back, with metal pin attachment. Measures 58mm in diameter. Each badge comes packaged in a cellophane bag. Vintage mash-up pin badge - Good God! Get a Grip Girl! Lovely item, shipped quickly - thank you!